"Iron" Mike Sharpe was 64. 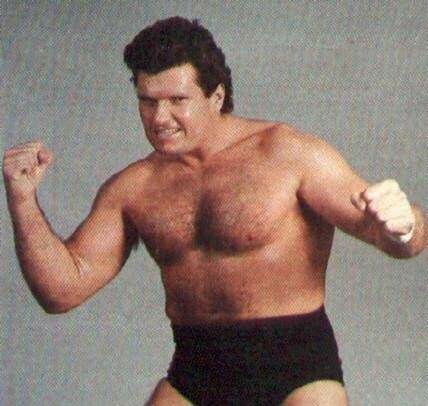 He wrestled in the World Wrestling Federation from 1984 until his retirement in 1995, billed as "Canada's Greatest Athlete". So sad to hear that Canada's Greatest Athlete has died. Did he ever win a wrestling match? And not a single Lou Marsh award! I think I recall him winning one match. I don't remember who it was against, but I remember thinking how cool it was that one of the regular stiffs actually won a match. I also think I remember him being shocked that he won...I wonder if it wasn't planned or something.